Shots are more popular than ever now — and we’re not talking about the boozy kind. If you’re into juicing or a frequent customer at a juice shop in your area, chances are you’re into fresh ginger shots and turmeric shots — even wheatgrass shots! A little blast of concentrated plant-based goodness can give you the micronutrients your body is craving as well as aid your immune system and your body’s inflammatory responses. 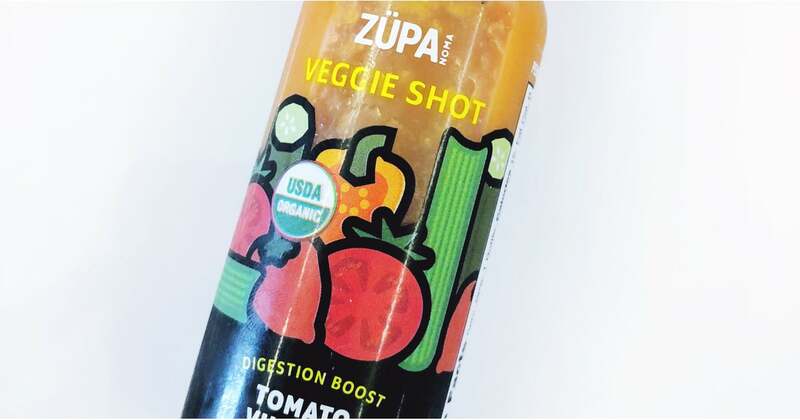 The curry-inspired ginger turmeric shot is great for inflammation, digestion, and immune support, while spicy Bloody Mary-esque tomato shot is a great gut healer for your microbiome. And you’d be remiss to skip the spicy green-juice-style kale cucumber shot that gives you a surge of energy and tons of vitamins and minerals. They’re $3 per shot (less if you subscribe!) and they’re delivered to your door, fresh, chilled, and ready to drink. You can even build a crate with soups and shots, making for easy plant-based swaps for your busy week. My favorite so far is the Tomato Vinegar Habanero (what can I say, I actually love virgin Bloody Marys!) — but you’ll definitely want to try all three for a bite- (sip-? )size treat of tasty nutrition. You know the deal . . . shots, shots, shots, shotshotshots — EVERYBODY! OK, I’ll stop now.